From the movie Citizen Kane: A group of reporters who are trying to decipher the last word ever spoke by Charles Foster Kane, the millionaire newspaper tycoon: “Rosebud.” The film begins with a news reel detailing Kane’s life for the masses, and then from there, we are shown flashbacks from Kane’s life. As the reporters investigate further, the viewers see a display of a fascinating man’s rise to fame, and how he eventually fell off the “top of the world. Okay so it is not a full uninterrupted speech, but together it comes out to a great scene. Played by a very young Orson Wells. 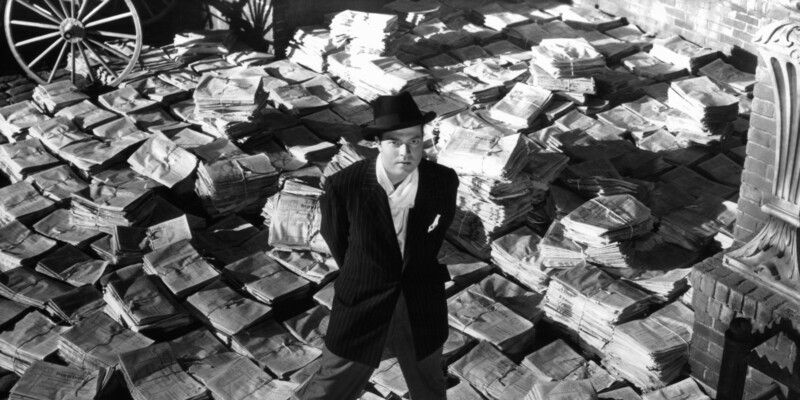 Charles Foster Kane: I don’t know how to run a newspaper, Mr. Thatcher; I just try everything I can think of. The trouble is, you don’t realize you’re talking to two people. As Charles Foster Kane, who has 82,634 shares of Public Transit Preferred. You see, I do have a general idea of my holdings. I sympathize with you. Charles Foster Kane is a scoundrel. His paper should be run out of town. A committee should be formed to boycott him. You may, if you can form such a committee, put me down for a contribution of $1,000 dollars. On the other hand, I am the publisher of the Inquirer! As such, it’s my duty – and I’ll let you in on a little secret, it’s also my pleasure – to see to it that decent, hard-working people in this community aren’t robbed blind by a pack of money-mad pirates just because – they haven’t anybody to look after their interests. You’re right, I did lose a million dollars last year. I expect to lose a million dollars this year. I expect to lose a million dollars *next* year. You know, Mr. Thatcher, at the rate of a million dollars a year, I’ll have to close this place in… 60 years. 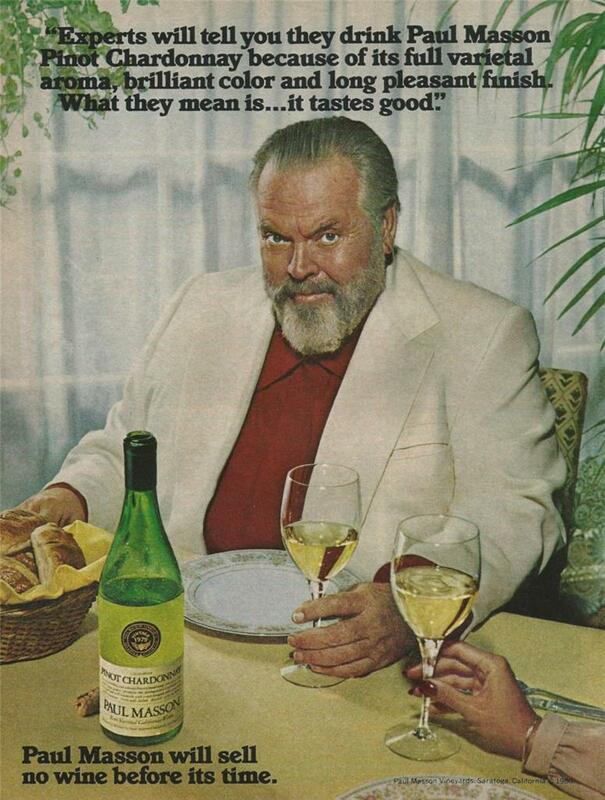 Later this writer, director, actor would sell wine.